Girls hold your heart, Byron is coming. A metaphor. Fans of Fortress know that duplexes are listed once in a blue moon. 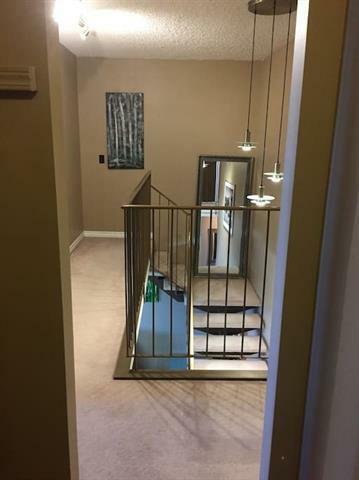 This sub-penthouse with entrances on both 9th and 10th floor has a huge master retreat remodeled from original 2-bedroom, 2 large storage rooms & 1.5 washrooms, which is only there in 8 % units in the building. Mountain views on west extend to COP on SW. It comes with a covered parking, new floorings, new vanities, new stove and refrigerator. 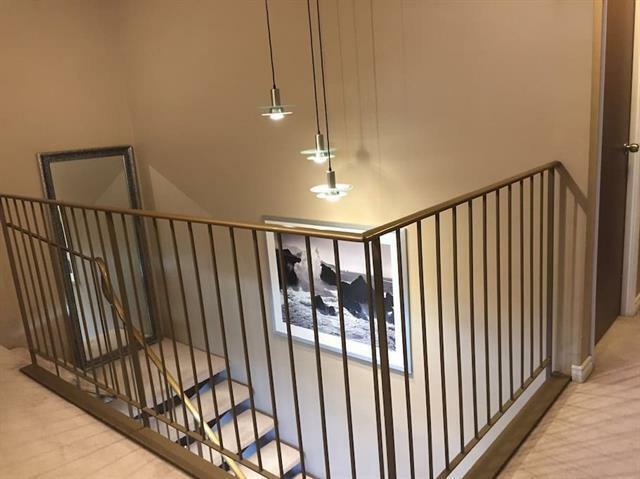 Building offers newly renovated indoor swimming pool, fitness room new elevators, two exclusive tennis courts, social room and business center with WiFi. 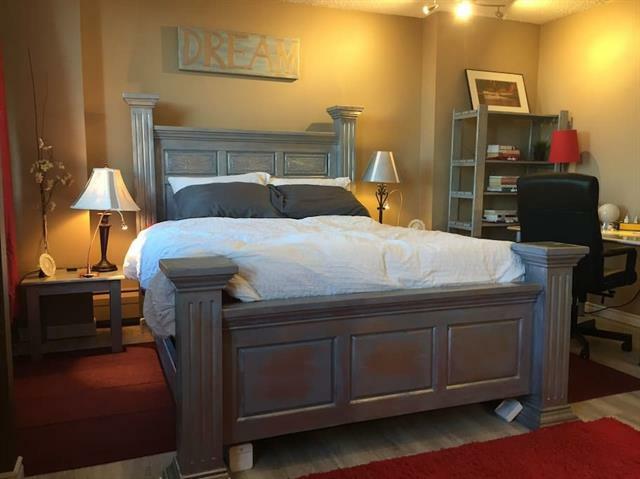 It is walking distance to Dalhousie LRT station and bus terminal and short walk to Walmart, Canadian Tire, Chapters, and Safeway. 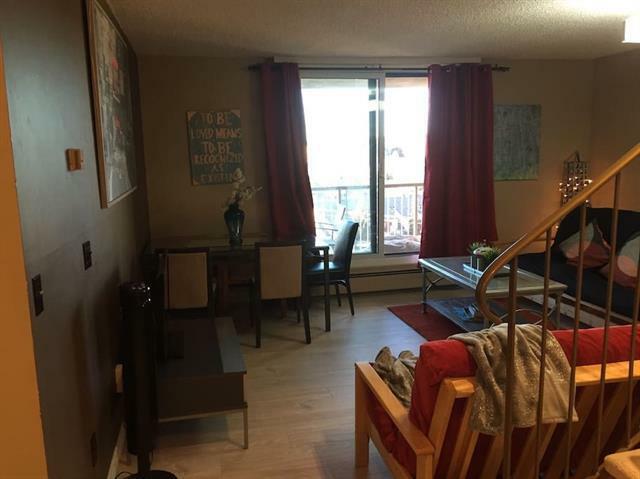 It is close to University of Calgary, SAIT and shopping malls. In addition, strategic location of security cameras in and out of building makes it an ideal place for safe and healthier living.